When you create your GroupRev account, we automatically create you a WePay account. 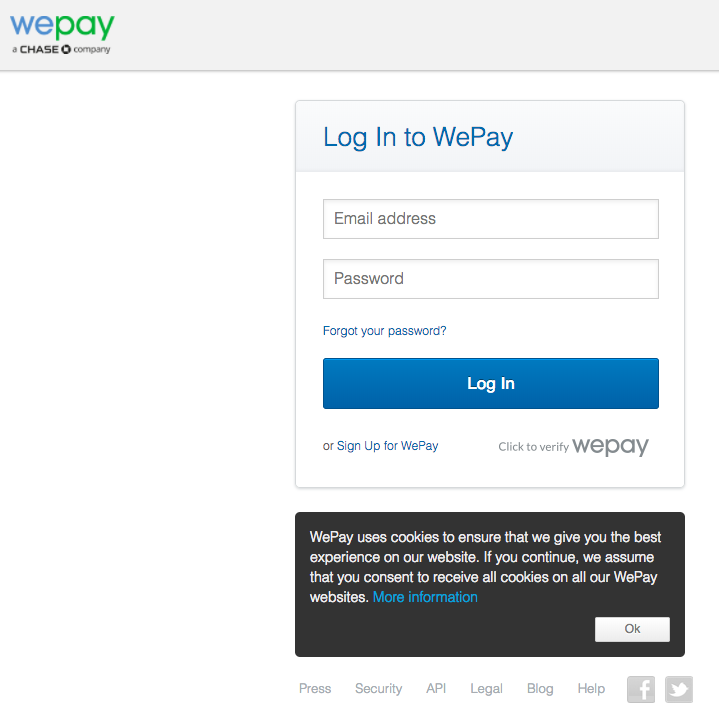 * NOTE: The email address associated with your WePay account is the one you used to sign up for GroupRev. * NOTE: You have 14 days after your first donation to complete the WePay setup or your account will automatically be Paused and not able to accept donations. 1. You will receive an automatic email prompting you to activate your WePay account. 2. You are able to redeem your account by giving it a password. Must contain a letter, number and be at least 6 characters long. 3. It then will prompt you to verify your information. Click Verify Now. 4. It will indicate whether it is recognizing you as an individual or an organization and will ask more information accordingly. 5. Once your verification is complete, it will then request for you to link your bank account. This is what allows you to release your funds from WePay into the designated bank account. NOTE: If you logged out before completing this step, you can log back in and from the home screen, click on the Gear (settings) icon to access this option. 6. Enter your banking information and select how often you wish for funds to be deposited from your WePay account into your bank account. -You can also get a paper check sent to you if you don't have a bank account for your organization. Once your personal information and banking information is inserted you are ready to have your donations routed to your bank account.